A deeper dive into understanding the key themes and story-lines of the Bible. Fathom is a Bible study for teens that covers the Old and New Testaments in 18 4-session studies. The lessons are a blend of narrative and traditional theological approaches to understanding the Bible story. Each lesson will focus on one passage that will launch into the larger context of God's story being studied,and how that story is meant to be theirs. Fathom is suitable for groups with middle schoolers, high schoolers, and any combination of the two. But unlike many other resources, it acknowledges the differences between older and younger youth and the way they learn. It provides activities specific to each age group, as well as activities for mixed groups in which older youth have leadership opportunities. Fathom gives leaders the option to let youth take ownership of their learning through teaching and leading alongside adults. 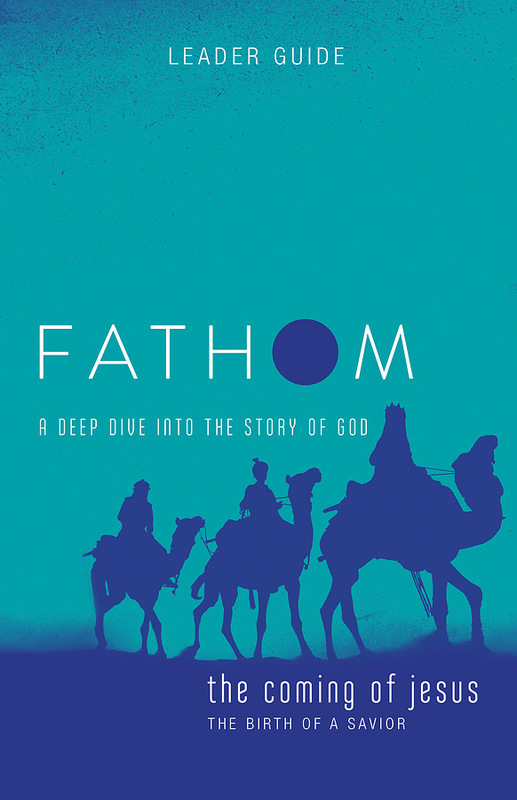 Fathom creates space and tension for teens to wrestle with how to interpret and experience the Bible. Through youthministrypartners.com, leaders will have access to planning and teaching tools, customizable content, and other supplemental content to support their use of Fathom as well as their youth ministries in general.